Mike will primarily be located at Rooksbridge, managing, planning and organising production schedules but will also be actively involved in site surveys, production of materials/build lists and installation (amongst other things!). 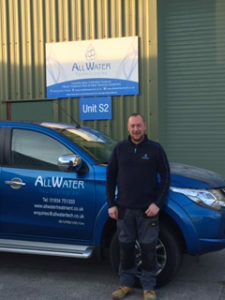 Mike comes to us with a wealth of experience and knowledge having previously worked at Fulton Boilers in Bristol. Before Fulton Boilers sadly closed their UK manufacturing facility Mike had worked there for over 22 years in a number of roles, most recently, as Production Leader. Having managed a team of 20 plus in the manufacture of Industrial Steam Boilers there are a great number of cross overs in his knowledge already and he comes to us with a high level of practical, hands-on manufacturing experience, plus significant know-how in the managing of Health & Safety, Lean Manufacturing Techniques and Project Management. We very much look forward to working alongside Mike and wish him all the very best for a long and successful career as part of the growing team.